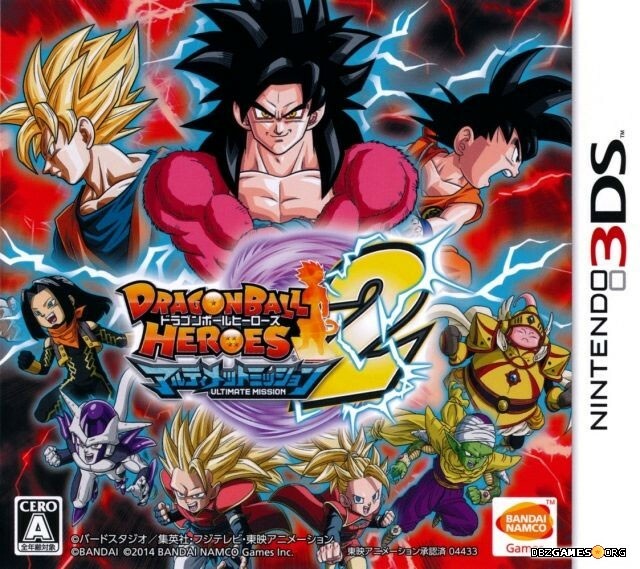 Dragon Ball Heroes: Ultimate Mission 2 is a card battle fighting game. The game was released in Japan for the Nintendo 3DS on August 7th, 2014. The game was developed by Dimps and published by Bandai Namco.